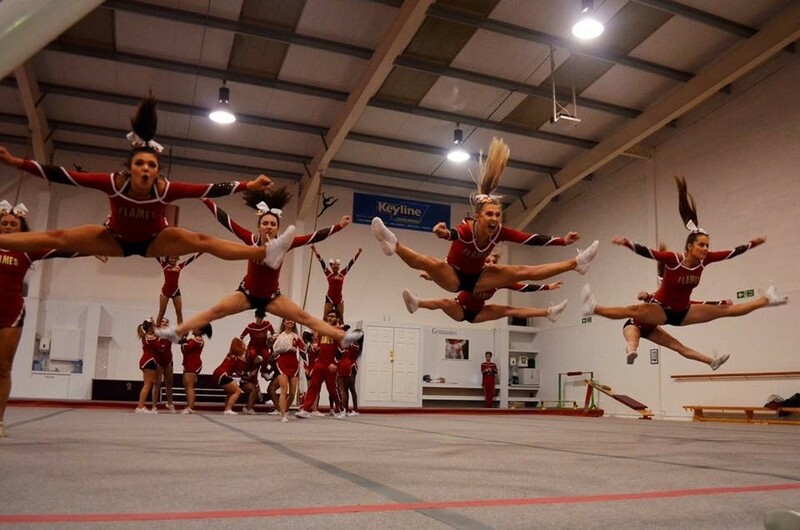 The Essex Flames compete at two national university level competitions each year. Through fundraising and the click project we aim to reduce the cost of what is an already expensive sport especially for struggling students! The majority of the money will go towards competition expenses to reduce costs as a whole for all teams for example for things such as hotels at and travel to competitions as well as the competition entry fees. In addition, some of the money will go to those who participate in fundraisers to help them with costs directly as well. 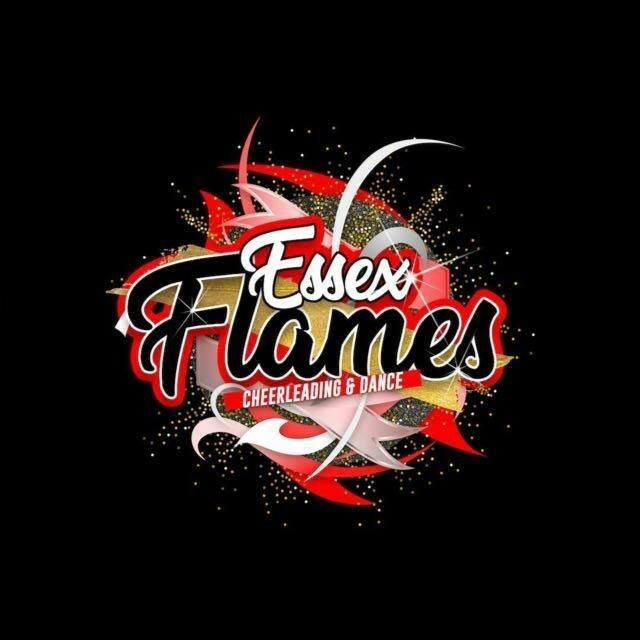 My name is Amber Scott and I am the fundraising officer for the Essex Flames 2018-2019. In previous years, we have achieved the gold standard club award and it is my role to help uphold this through activities such as fundraising. Moreover, an increased budget because of fundraising will mean we can afford better equipment, therefore being able to achieve better results at national competitions. 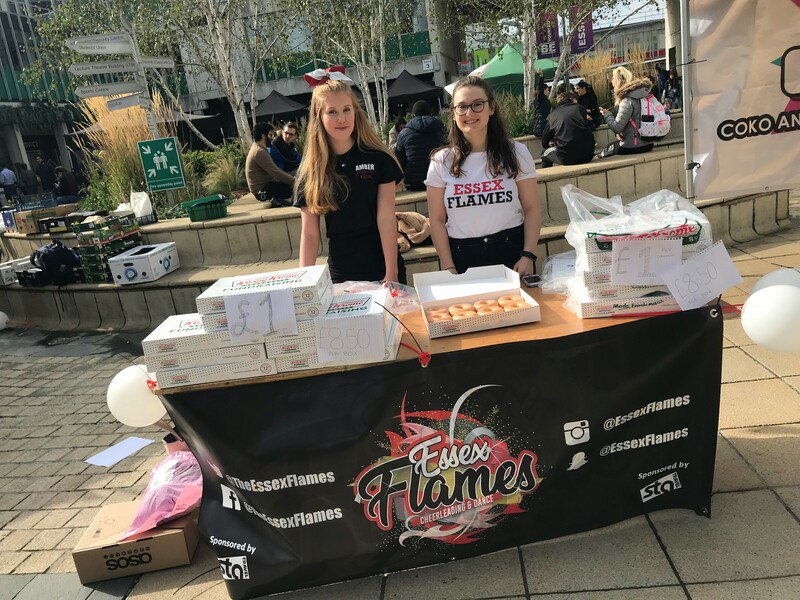 The Essex Flames have been growing in numbers each year and we continue to become a bigger presence on campus every year. We now have a much larger number of boys and girls wanting to try-out for cheer each year and we would love to accept as many members as we could but with more members comes more costs, which is why we need click to help. With Cheer being a particularly expensive team, the costs can put members off joining who would really enjoy it and have great potential. Our aim is to bring down the costs as much as possible and allow as many people as possible to join out wonderful club. Accommodation expenses such as the hotels needed for overnight stays because of how far the competitions are. Travel expenses, the money would partially fund the costs of the coaches needed to and from competitions. Competition entry fees, the cost of entering both competitions is £34.50 for each member of the team so the money raised would go towards bringing the costs down for this. Some of the money will also go to those who have participated in fundraisers which will be worked out based on the hours they have put into helping to raise money. Our target is £300 of which roughly half would go to our members for their help with fundraising and the rest would go towards competition expenses. If we raise more money than anticipated, money would be put into savings to eventually go towards a new mat to practice on. You will get a social media shoutout from the Club. Public thank you and endorsement on our social media, as well as a postcard signed by all our members! A year of monthly shout-outs and promotion for your company/business on our social media.